Each year Cambridgeshire County Council awards small grants to the non-University of Cambridge Accredited museums. The funding is from the ACE Museum Development Programme for the East of England through SHARE Museums East. In 2017-2018 grants were up to £1,000 and were allocated in November 2017 for projects to be completed by April 2018. Museums were required to demonstrate how their plans fitted with ACE’s five goals and with their own forward plans. The projects could be for any aspect of the museums’ operations but could not be used to cover core costs (e.g. staff). Five awards were made, with total value of just over £5,000. There was a preference for projects which were innovative and likely to be of interest and value to other museums. 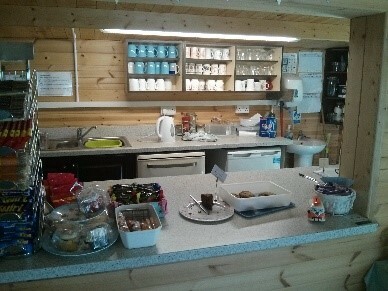 Burwell Museum used their grant to upgrade their tea room by adding improved ventilation and a tablet operated card reader to take card payments. They also installed a fridge in the welcome kiosk so that they could sell cold drinks from there. Being able to receive card payments across the site now allows more inclusive options for entrance fees and refreshments. The tea room is the only such facility in the village, so improving the environment within the tea room should add considerably to visitor numbers and income in the years to come, improving sustainability. The fridge should allow event BBQs on a more regular basis (leading to more income) and improved overall food hygiene standards. The Cambridge Museum of Technology purchased 18 ibeacons, two tablets, protective cases for the tablets, and two sets of earphones. Visitors can download the app which will enable their devices to detect the beacon signals. Those who do not have the equipment will be able to borrow a tablet from the museum. Beacons are placed at key points around the Museum’s building and site. Each beacon takes the visitor to the relevant area of the Museum’s website where they can read or listen to additional information, watch films and listen to recordings of exhibits in action as well as oral histories relating to the site and exhibits. The project is part of a larger redevelopment funded by HLF which involves the museum being closed for part of 2018. The beacons can link with members of the public passing the museum site showing them what is happening during redevelopment and will be used in outreach work during closure to engage people with the project. Work on the website is funded within the HLF project. Ely Museum’s grant subsidised coach costs for four schools that cannot ordinarily afford to have access to the Museum’s learning offer. Many local schools are rurally isolated and so do not have the same access to cultural experiences as others. The Museum also piloted new Virtual Reality Headsets with a school by offering them a free visit. This allowed the school to try something new and help the Museum shape a new workshop for the benefit of future school visitors. 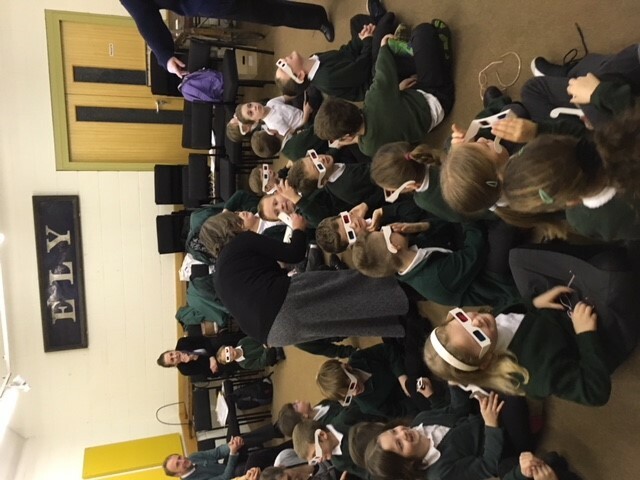 The VR Headsets are an excellent way for children to learn about fossils by bringing to life the Jurassic creatures which lived in the local area. 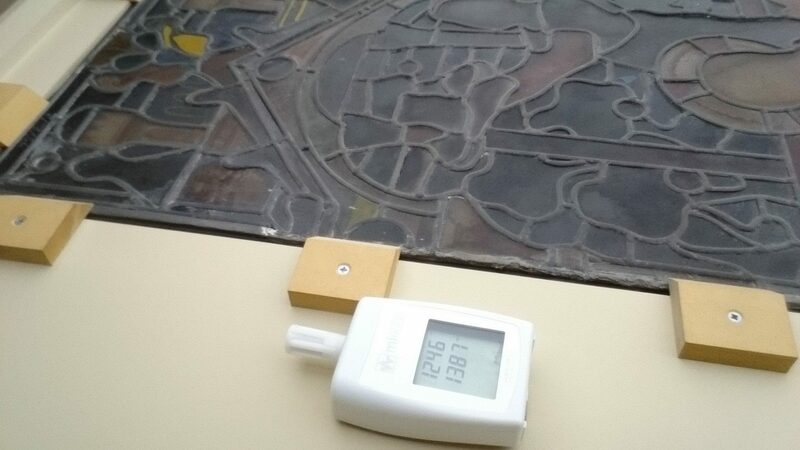 The need for better environmental monitoring at the Stained Glass Museum, which is sited in Ely Cathedral, has recently been highlighted by major lending institutions as well as the Environmental Adviser to the Government Indemnity Insurance Scheme. Because conditions differ in the gallery, shop, workshop area and library, the Museum purchased two environmental Hanwell monitors, in addition to the two it already had, to obtain readings in the library and shop area – where collections are also on display/stored. These additional data loggers will give a more detailed overview of the environment throughout the building and over the course of the year. 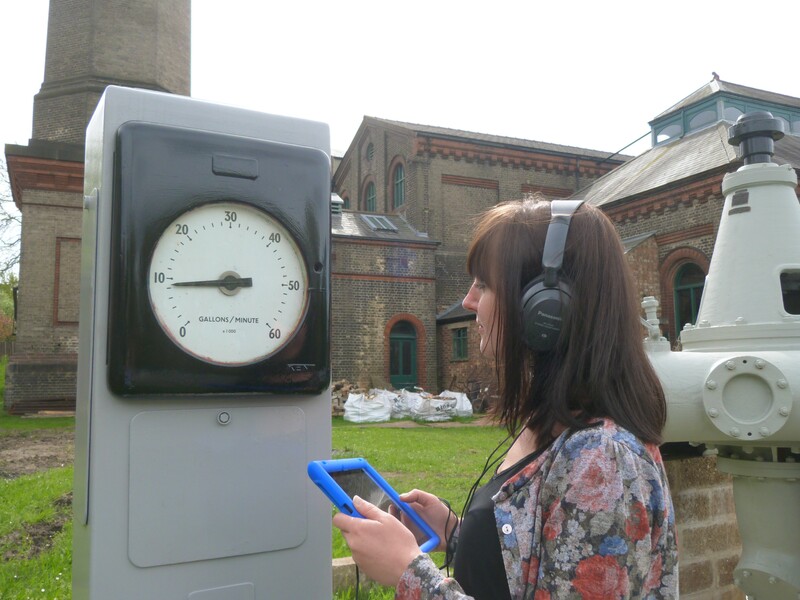 The Museum also calibrated and repaired its two existing data loggers to ensure that they are producing accurate readings. 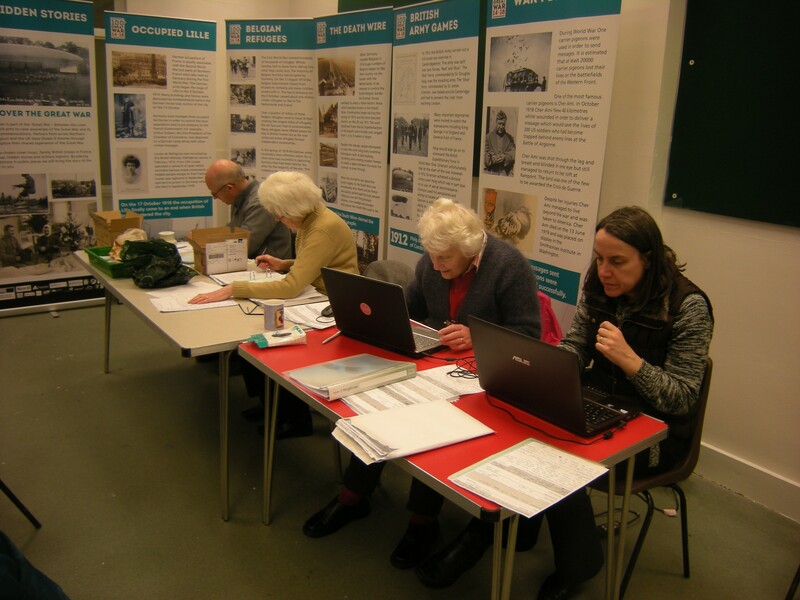 The grant enabled the St Neots Museum to upgrade its collection management software from MODES compact to MODES Complete. After 22 years the Museum had outgrown the smaller MODES packages and was having problems managing its data with two laptops and a desktop computer to keep up-to-date. They also almost reached the limits of information input with over 12,000 records on the system. An upgrade has allowed the Museum to sync all its computers and to manage collection records far more efficiently. With an upgrade to MODES Complete they are now able to more easily access records and provide information to the public, for exhibitions and learning work and for other museums. 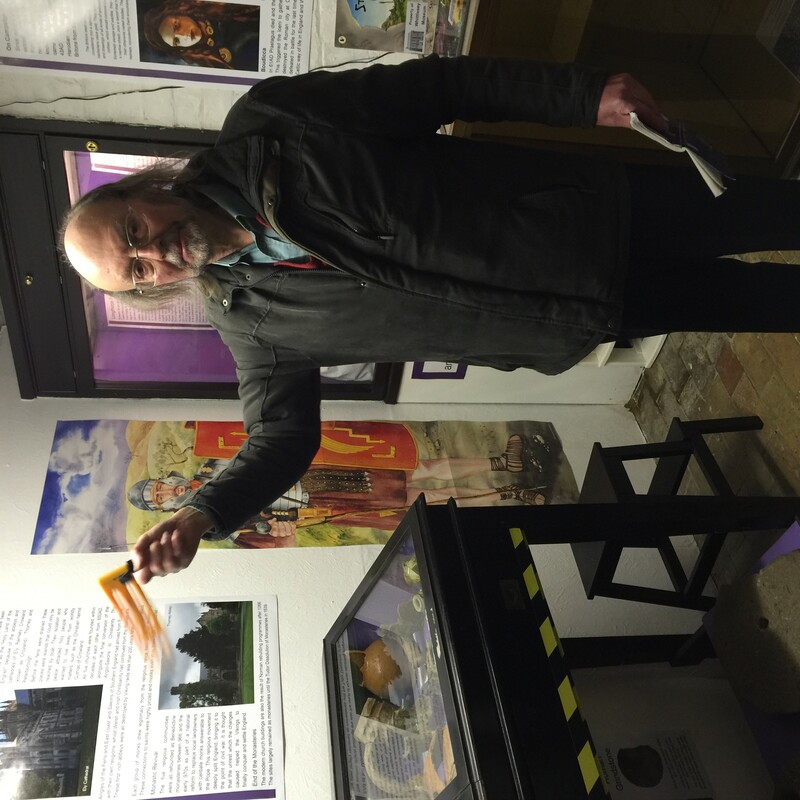 Whittlesey Museum built on the work for which they received a grant in 2016-2017 by beginning to address the pervasive damp/humidity in the museum premises. They installed three dehumidifiers in the main building, two to be continuously draining and one left portable for flexibility. They also installed five min/max thermo-hydrographs to provide additional monitoring to inform future work They purchased 10 litres of Damp Seal Paint to use as undercoat in internal wall repaints throughout the museum, including use on specific areas of the Prefab where damp is visible. A water-resistant carpet with rubber backing and non-slip underlay in the Exhibition Room provides a smoother walking surface, better finish to the room and improved insulation/barrier to damp.